High above the windswept moors and darksome woods, the village of Hirot is under siege. 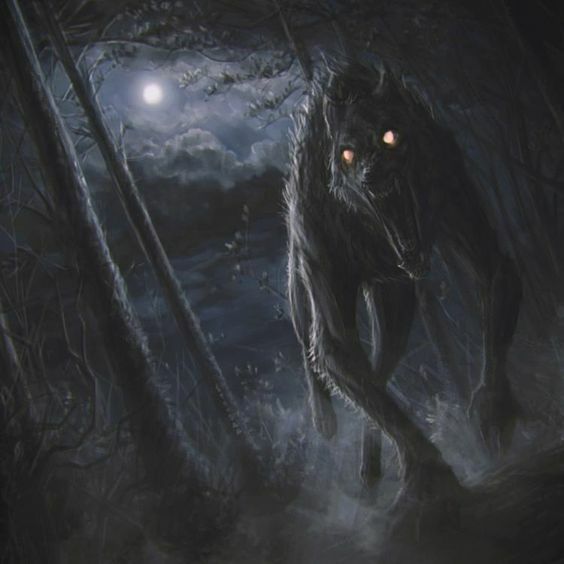 Each night, as the sun sinks beneath the western mountains and the candles burn low, a devil-hound stalks the village streets, unleashing its savage fury on the living. From warlord to pauper, crone to child, no one is safe. Even the Jarl, master of Hirot, and his loyal warrior thegns are helpless to stop the beast. Details: Occasional dice use, adjustable length posts, one-off scene. Looking for 3 other players. I'll be getting more and more busy toward the end of the year, so my posting could become sporadic over the next two or three months. Awesome! And no problem. Happy to help. So to start, you want to roll 3d6 for each of the following: Strength, Dexterity, Constitution, Intelligence, Wisdom and Charisma. Those are your characters 'Attribute scores'. By the letter of the rules, you should roll them in order and then pick a character type that fits what you rolled. BUT... it's also acceptable to just generate the 6 scores and then assign them as you see fit to get the type of character you want. Strength represents the character’s physical power. It is the Prime Attribute for Fighters. Fighters can use their Strength Bonus to modify their “to-hit” and damage results when using melee weapons. Intelligence represents knowledge, reasoning, and the ability to solve puzzles or understand difficult concepts. A high Intelligence score gives a character an additional language for every point above 10. Intelligence is the Prime Attribute for Magic-users. Magic-users can use their Intelligence Bonus to improve “spell effectiveness” (i.e. target suffers a loss on his saving throw). Wisdom determines a character’s insight, perception, and good judgment. Wisdom is the Prime Attribute for Clerics. Clerics can use their Wisdom Bonus to improve “spell effectiveness” (i.e. target suffers a loss on his saving throw). Constitution refers to the health and endurance of a character. A high Constitution score (15+) gives the character a +1 to each hit die, and a low score (6 or lower) gives a –1 penalty to each hit die. Dexterity is a combination of coordination and quickness. It is the Prime Attribute for Thieves. A high Dexterity score (15+) gives a character a bonus on “to-hit” rolls when attacking with a bow or other ranged weapon, and a low score (6 or less) gives a penalty of -1 to such rolls. Dexterity can be used to modify a character’s Armor Class. Charisma refers to a character’s personal magnetism and leadership ability. Charisma also determines the number of Non-Player Character (NPC) hirelings a character can acquire. Then you'll want to pick a class and a race. Great! I'll try to get an OOC thread started tomorrow. I'm still hopeful maybe 1 more player might join. Though if not, I have either a cleric or a thief character I can use. I would love to join! Just need to move my D&D character onto here. I've been solo campaigning so I might have a grip on few of the mechanics of D&D. Also, it's good for me because I was going to move my D&D character to here anyhow. So win-win! Awesome CoyBoat275! Can I ask what class/race your character is? Just went over the white box rules. It's basically just a simplified first edition and reminded me of the red box. It makes me yearn to play my first ever character "Assallya." I'll submit my gypsy character tonight. I’d love to play if you’ll have me! I’ve been looking for DnD campaigns ever since mine disbanded, I’m still technically new but I could play a Ranger or maybe a Druid if that’s ok? Druid would be a magic-user.